Here's an idea for a Campaign that, while I am sure has been done before, might make for a fun 2nd half of this year. Let me throw out some ideas, and see if any of this sticks! Of course, chime in please with any ideas! INSPIRATION- Find a photo online, or scanned from a book, of the Battle Damage that inspires your creative juices to want to recreate it as a static model, a vignette, or a full blown diorama. SUBJECT- Any military vehicle from any conflict from any nation- armored vehicles, aircraft, ships, and whatever is left over. 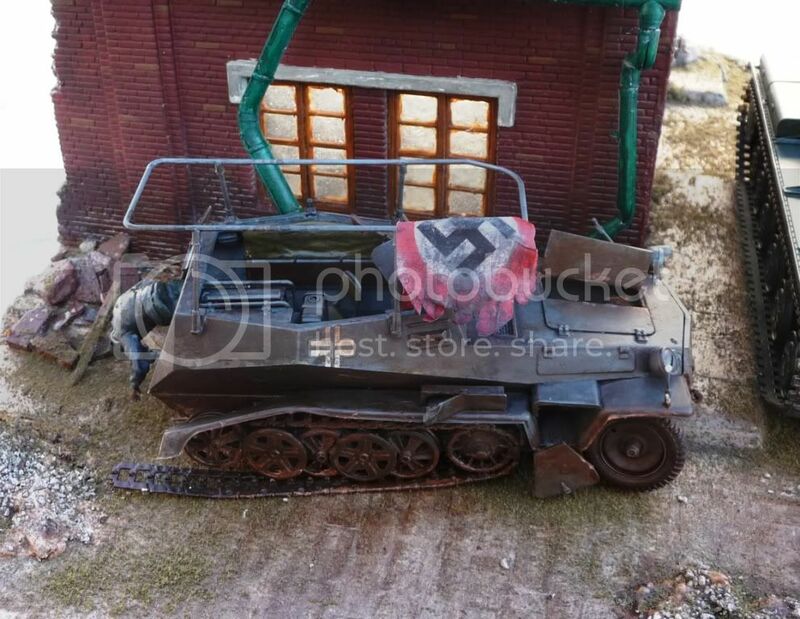 If your photo inspiration is a burned out Tiger, you don't have to build the Tiger, use the photo and the Panzer II sitting on your shelf instead! Already built models are allowed, just post a “before” photo! This is a chance to use an old model that was built “so-so”, a broken or missing parts kit, a really poorly manufactured kit, or whatever you have lurking, taking up space. TECHNIQUES- A great opportunity to try some really different modeling skills, as we usually are trying to build a complete representation of something. Realistic Battle Damage can be a challenge to re-create realistically, so let's have some fun here. The amount of damage to the vehicle needs to be substantial, so let's say 5-10 on a 1-10 scale of “None” to “Catastrophic”. TIME FRAME- We have quite a few Campaigns ending during the Summer, so I was thinking of making this one to run from May or June through Dec. 31. Hard to say how to take that one, Dustin! I may try this... I want to! But I have so much going on right now. Too many campaigns! I need to get caught up. I do like the idea of using an old model to get destroyed, I'm sur we all have something sitting around that should be destroyed anyway. Yes, Tat and Dustin, this is definitely a "longer term" Campaign, we could stretch it to a year if the Powers allow it! Thanks David, hopefully can count you as in? Awsome. 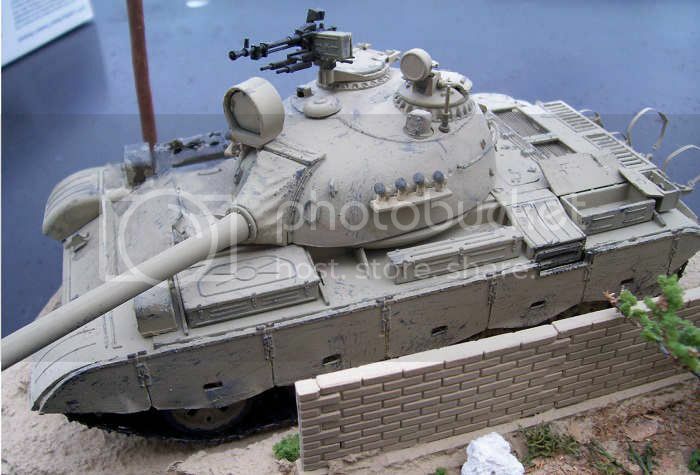 I just bought the ancient Tamiya Stuart light tank last week for 5 bucks. Looks like something is about to be blown up! Im in! I'd be in, I have a number of older models that would be good for this. If this is acceptable, then I'll put it in as my entry. Yes, that works, any previously built kit will work, just do what Tat did, and provide a "Before" picture! One more and I can make the formal proposal! Okay Clayton I'll be number ten count me in! I did an Iraqi wreck for part of a Gulf War Group Build over on ModelWorx. 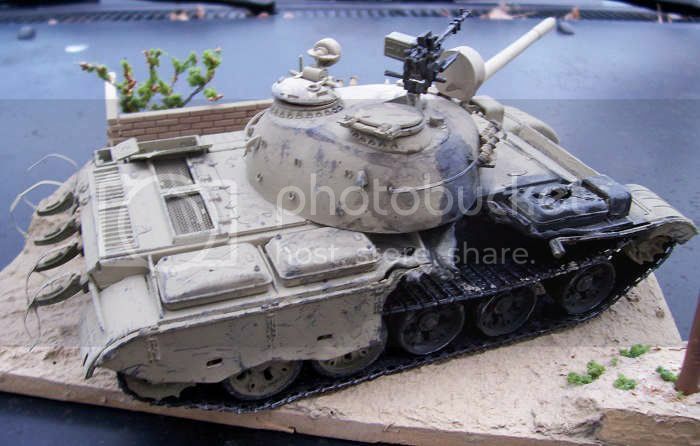 I took a Trumpy T55...converted it to a T59/69i (the parts are basically included)...then damaged it (roasted wheels, impacts, burnt skirt sections, etc.). It was a fun build and I'd be interested in trying it again. I shall be knocking out Tamiya's Somua.